The presence of the orthopedically impaired body in art is so pervasive that, paradoxically, it has failed to attract the attention of most art historians. 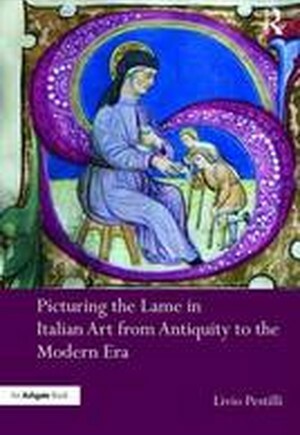 In Picturing the Lame in Italian Art from Antiquity to the Modern Era, Livio Pestilli investigates the changing meaning that images of individuals with limited mobility acquired through the centuries. This study evinces that in distinct opposition to the practice of classical artists, who manifested a lack of interest in the subject of lameness since it was considered 'a defect or a deformity' and deformity a 'want of measure, which is always unsightly,' their Early Christian counterparts depicted them profusely, because images of the miraculous healing of the lame became the reassuring sign of universal acceptance and the promise of a more equitable existence in this life or the next. In the Middle Ages, instead, when voluntary poverty came to be associated with the necessary condition of faithfulness to Christ, the indigent lame, along with others who were forced to beg for a living, became the image of the alter Christus. This view was to change in the Renaissance and Baroque periods, when, with the resurgence of classical and Pauline ideals that condemned the idle, representations of the orthopedically impaired became associated with swindlers, freeloaders and parasites. This fascinating story came basically to an end in the Eighteenth century when, with the revival of the Greek ideal of the Beautiful, the lame gradually left center stage to be relegated again to the margins of the visual arts.